Heat oven to 350°F. Lightly spray 2-quart casserole with cooking spray. In medium bowl, stir together bread crumbs and melted butter. In small bowl, mix brown sugar and cinnamon. 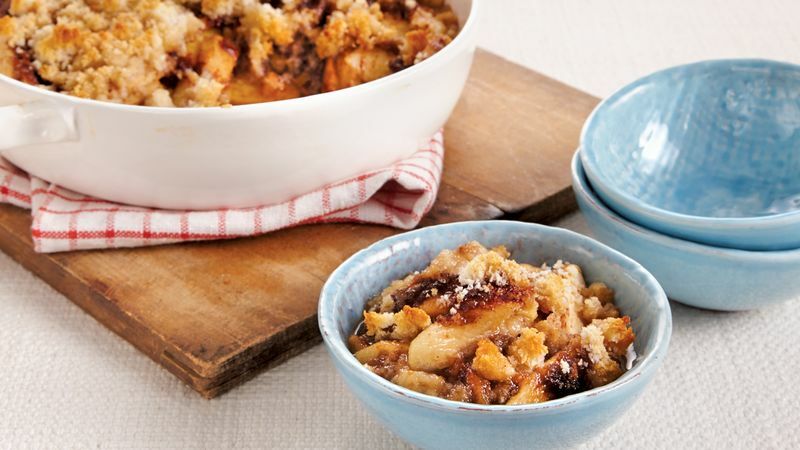 Place half of the apple slices in casserole; sprinkle with half of the brown sugar mixture and half of the bread crumb mixture. Repeat layers. Pour cider over top. Bake 45 to 55 minutes or until apples are tender and topping is browned. Serve warm.